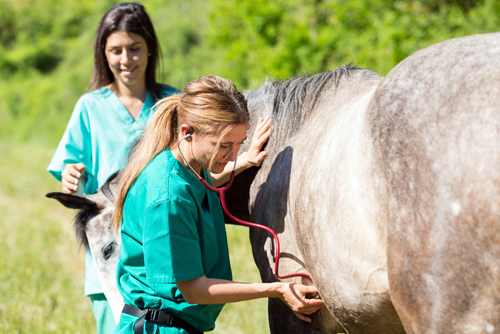 Raceday injury and incident reports are designed to capture veterinary information of every horse which undergoes a veterinary examination once it arrives at a racetrack on raceday. Examinations may emanate from a variety of sources including the trainer of the horse, the veterinarian or Stewards, and be undertaken at anytime - including upon arrival at the track, during warm-up or post race. 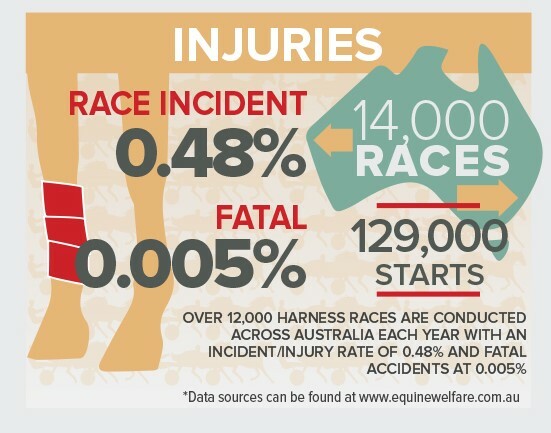 Since inception, the Injury and Incident Database (the database) has grown to include statistics on 2,130,665 Starters at 28,783 race meetings, with more than 10,632 horses having been examined (at the time of writing). Data from the Database is reviewed regularly in reports to HRA Specialist Committees including the Standardbred Welfare Advisory Group (SWAG), Regulatory Veterinarians, Integrity Departments, Administrators, Insurers and relevant Government Departments upon request. These reports debunk many myths with regards to the regularity and severity of racing injuries, including the number of catastrophic racing injuries resulting in death - which averages 5 per year, across 6 States from 14,085 races and 10,328 individual starters (equivalent to 0.005 of starters).